Masham is a market town in Wensleydale, in the Yorkshire Dales, north west of Ripon on the A6108. There are roads near it with wonderful names like Halfpenny Lane and Scrooge Lane which may be attributed to a known miser living nearby. 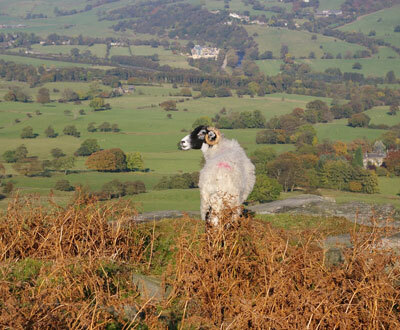 The town itself is home to a Sheep Fair, this being sheep farming country, and to the Theakstons and Black Sheep Breweries with their visitor centres and opportunities to sample cask ales. Market days are Wednesday and Saturday if you would like to purchase some Yorkshire specialities such as Wensleydale cheese or admire the fine Georgian houses around the market square. There is a good variety of walks around Masham, along the river and up on the moors. Places to visit in the area include Uredale Glass, St. Mary's Curch where some of the gravestones carry poems, and Jervauix Abbey - a ruin a little further north where monks also tended flocks of sheep. There is cross country horse riding at Ellington, and fly fishing at Leighton Reservoir for trout. Other nearby villages include Low Burton , Burton on Yore and Swinton with Warthermaske. The attractive village of Fearby a short drive away is worth a visit.